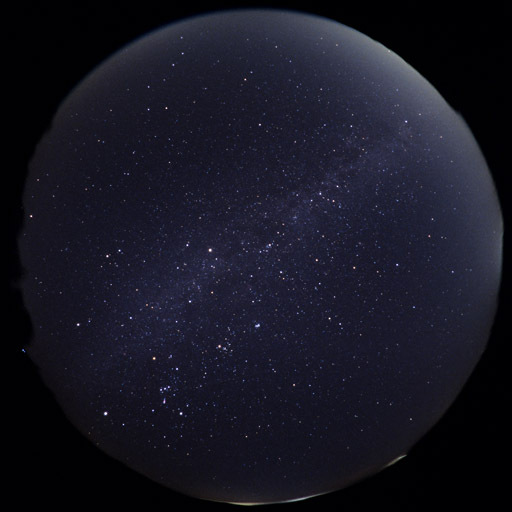 The constellation of Perseus reaches the zenith at local midnight, the point just overhead. Most prominent are the bright winter constellations in the south-east, especially conspicuous Orion and the brightest star Sirius in Canis Major. The square of Pegasus, the typical constellation of autumn, already sinks down to the western horizon.